These white pine tree place card holders are a lovely finishing touch for any winter celebration. Simple yet festive, these place card holders come with white place cards with a silver boarder. 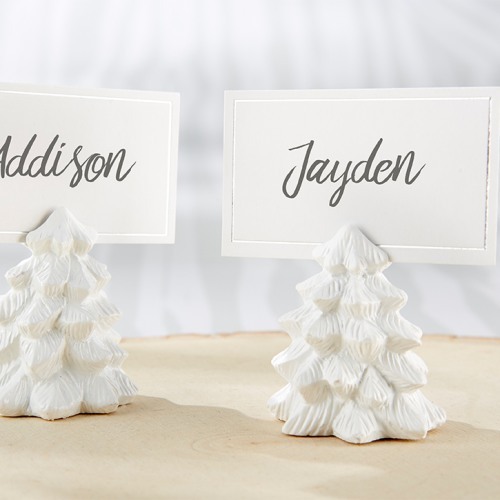 These pine tree place card holders can even double as favors. Simply let guests know to add their favorite photo.